Last year we read our way around Nova Scotia and had such a good time, we thought we'd go again. Apparently, living in Halifax does not make you immune to run-ins with vampires. In Once a Samurai by D.C. Rhind, Michael Cameron, a Martial Arts instructor, has trouble brewing in all aspects of his life. His loved ones are dying, his marriage has failed and he has lost his boat at sea. 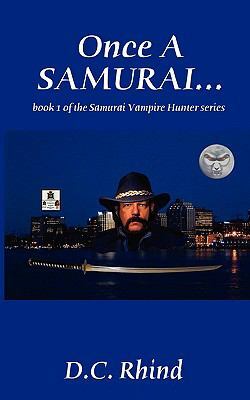 Following his travels in the far east, he returns to Halifax only to be asked to add vampire-slaying to his list of credentials. Although at first reluctant it becomes personal when he becomes a target. Ok, enough with the vampires. 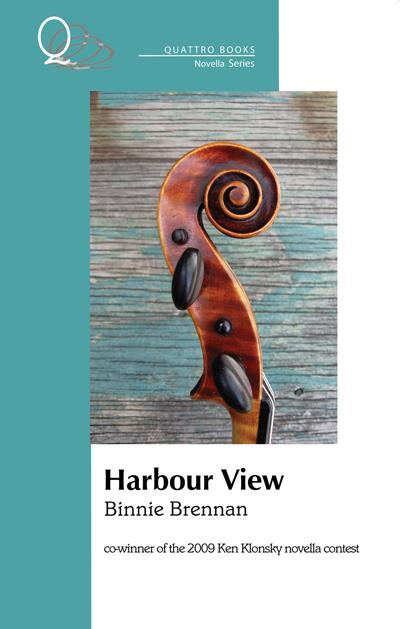 Harbour View by Binnie Brennan is a touching novella, really more interconnected short stories, about the residents and staff in a nursing home in Halifax. Reading it brought to mind Hagar Shipley (in fact one of the residents would only choose The Diviners from the reading trolley as the rest of the novels were romances that she couldn't relate to all at). Present and past are interwoven and sometimes confused by the residents. Old age plays terrible tricks, robbing people of their independence in the most basic functions of life. Staff and family who care to take the time to listen learn about their rich pasts. Some residents choose to alter or invent their past in order to either fit in or to wrap themselves in privacy, lending the stories a bittersweet quality. The novella opens with Neil-Duncan (Buddy) MacDonald on his 109th birthday coming to the understanding that his family traditions haven't been lost but have been transmitted down to generations unknown to him. While many of the residents of Harbour View have a long history in Nova Scotia, the province also has a rich immigrant tradition. 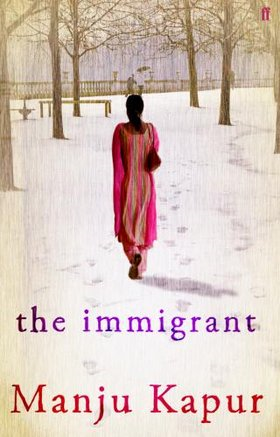 In The Immigrant by Manju Kapur, Nina, a university lecturer in New Delhi, finds herself in an arranged marriage with Ananda, a successful dentist in Halifax. While Ananda has already established himself in Canadian society, Nina finds the transition extremely difficult. She, for whom family was so important, finds herself cut off and isolated. She looks for solace in the Halifax Memorial Library, taking comfort in books. A sometimes amusing, yet compassionate look at arranged marriages and the immigrant experience in Halifax. A pivotal point in Halifax's history is, of course, The Halifax Explosion. Jon Tattrie, in an interview in the Chronicle Herald, speculates about the sanitized versions of the tragedy we've been told over the years. We know about the facts and the family stories, but not of the pain, suffering and fear. He speculates that it was because it happened in the midst of a war and people may have viewed tragedy with more fortitude. In Black Snow: a story of love and destruction, Tattrie doesn't shy away from the more graphic events of the Explosion. In his novel, Tommy Joyce, recently return from The Front, is knocked off his feet by the blast and joins in the rescue effort to both provide relief and search for his lost love.